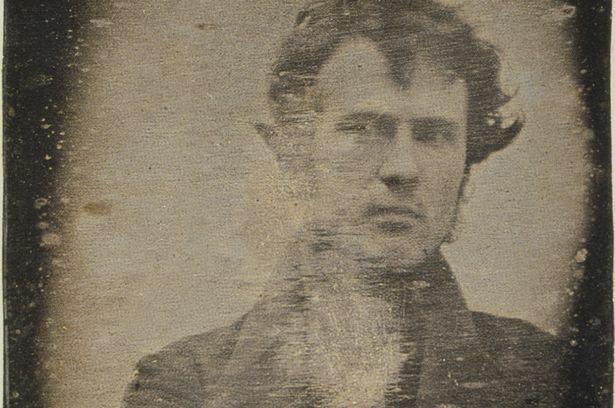 Selfie has only just made its way into the dictionary but, as this picture taken in 1839 shows, people have been doing them for a long time. In fact, this has been hailed as the first ever selfie. Amateur chemist and photography enthusiast Robert Cornelius, from Philadelphia, took the self-portrait in his family’s silver-plating shop in the city. There was no remote shutter release on the primitive camera – a Daguerreotype invented by Frenchman Louis Daguerre - so Robert had to scamper in front of the equipment after removing the cover on the lens. Considering that he was making history, he doesn’t look all that chuffed – maybe it was because he had to stand still for up to 15 minutes for the portrait. Or maybe it was because he had an inkling that some celebs would one day make the selfie such a self-indulgent yawnfest. Robert’s picture is kept in the Library of Congress in Washington DC. It would be recalled that the greatest and most celebrated selfie in the world was taken only a few days ago at the 2014 Oscars by talk show host, Ellen Degeneres.